LM: You published several non-fiction books. When did you know you wanted to write and publish fiction? AB: I've always been interested in fiction and took a fiction writing course years ago. The big thing that stuck in my head was "A thousand shall fall." In other words, my instructor taught that only one in a thousand books are published. I started a couple of books, but didn't complete them. However, I wrote fiction occasionally for Sunday School papers. 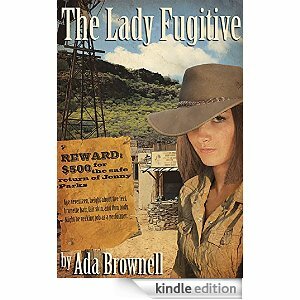 I had a lingering idea for a book that stemmed from my fascination maternal grandparents, and I finally wrote The Lady Fugitive. The book was birthed during the American Christian Fiction Writers Novel Track where you write as fast as you can go without stopping to edit. I wrote most of the first 80,000 words of the first draft in five weeks. I'm now about ready to send The Peach Blossom Rancher to the editor and publisher. LM: Where did you get the idea for your story? 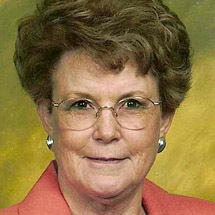 AB: As I said, the idea came from Grandma who was an elocutionist (a well-trained public speaker) when she graduated from high school at 16, if I have my information correct. I'd guess it was about 1895. An orphan traded among relatives numerous times, she had to run from an abusive uncle. She left walking down the road carrying her suitcase. My character, Jennifer Louise Parks leaves on her horse in the early 1900s. Grandpa went about the country showing one of the first Passion of Christ moving picture, searching for his brother. My character William O'Casey also shows the movie, but travels in a peddler's wagon selling merchandise to farmers. Grandfather's father was murdered, and so was William's. The sequel continues with some of the same characters, and with Jenny's brother, John Lincoln Parks, as The Peach Blossom Rancher. Valerie MacDougal, who appeared in the first book, is the woman John hopes to marry, but enter Edwina Jorgenson, a feisty woman who runs a neighboring ranch. Then there is Archibald Forsythe, an attorney from Valerie's father's law office, who wants Valerie to assist him in getting a doctor released from the insane asylum. The doctor had one mild seizure after a head injury, but has been in the asylum for years. AB: None of the main characters are based on real people. Yet, I draw extensively on my experience as a newspaper reporter. A state mental hospital was on my beat, and I learned valuable, historical information. But in The Peach Blossom Rancher I also draw from my experiences growing up in Colorado's Western Slope - peach country. LM: What was your research process for the book? AB: So many things need checked and rechecked. I'm in the editing/re-writing process now for The Peach Blossom Rancher, and I still find places where I can dig deeper. I have a little experience with horses, every once in a while I need to check out something about them, and there is so much other information that needs to be researched or verified. LM: The age-old question for writers - are you a panster or a plotter? character and town profiles. But then I start writing, and I love to watch how things happen, characters come to life, suspense develops, and I can't wait to complete the story! LM: What are your passions when you're not writing? AB: I belong to a prayer and Bible study group. I've sung in trios most of my life, and played the piano or organ in church for years. But my chief passion is my family - my husband and our five children, one of them in heaven. I love people, too. We've had so many wonderful, fascinating friends over the years. I also enjoy cleaning, and decorating my house - inexpensively from bargains, garage sales, and gifts. AB: Hopefully The Peach Blossom Rancher will be released June 1. I plan to write a sequel featuring my mother and ideas I gained from my parents' lives, and then go on with a sequel about my life. My husband was a telegraph operator when we married, and we've had many challenging experiences I can fictionalize. LM: As a veteran published author, what is your advice for unpublished writers? AB: Keep a list of ideas, choose one, and get to work creating two leading characters in conflict with something or someone, and pursuing their urgent goals. Then sit down and write. LM: What else would you like readers to know about you? AB: I've worked with youth most of my life, and I've poured much of what I've learned and taught into Imagine the Future You and Facts, Faith and Propaganda. Too many young people are becoming atheists, and I believe that is because of the brainwashing in our schools and not enough faith planting in our churches. Imagine the Future You is a Bible study available in audio, as well as paperback and an e-book. Great for family worship for those with young teens, or as a gift. Read sample chapters or listen to the first chapter on Amazon. The Peach Blossom Rancher: To be released soon. Thank you, Linda, for inviting me to be your guest. It's a privilege to share on your wonderful blog.